We receive a lot of emails and comments that inquire advice about hotels, hostels, apartments and, in general, on where to stay in Istanbul. As Istanbul has become more and more fashionable, tourism has been increasing with annual growth rates in the double digits. As a result, hotels offer both a wider and more varied selection. To be honest with thousands of hotels in the city and hundreds under construction, it is clear that the typical question “What do you think of this hotel?” cannot always be responded to in an appropriate manner. It would be beyond presumptuous to claim to know all the hotels in the city. But we live in Istanbul, so we are in a position of privilege for reviewing local hotels. We will inform our readers to the best of our abilities; critically analyzing a reckless place and giving due credit to more respectable businesses. We also interview the professional sector and interact with hundreds of tourists who tell us about their experiences. And then the resources that the internet makes available to us come in to play. In sites such as Booking.com, besides being able to make reservations online, you can read thousands of reviews on all the hotels in the city. So the choice becomes easier and the margin of error is reduced a lot. One point that is worth dwelling on is the best location to choose as a “base”. It all depends on your preferences. Sultanahmet is certainly the most touristic area of Istanbul, highlighting the negative aspects that the term “tourist” brings with it. For sure the offer of housing in the area is very wide and varied, looking good look very beautiful places and at a good price, but you could also run into disappointments. What we mean is that it is not necessary to stay in Sultanahmet, given that you can visit and reach comfortably from other areas of the city. Meanwhile it remains a calm, secure and charming option with a wide selection of good priced hotels. The area south of the Golden Horn, the Sirkeci and Beyazit districts may be attractive alternatives, being very well served by public transport and having a good selection of hotels. To the north of the Golden Horn called Beyoglu, is the area that is now referred to as ‘the modern Istanbul’ (but in reality it is rich in history). In recent years we have witnessed its rapid and appreciable redevelopment. 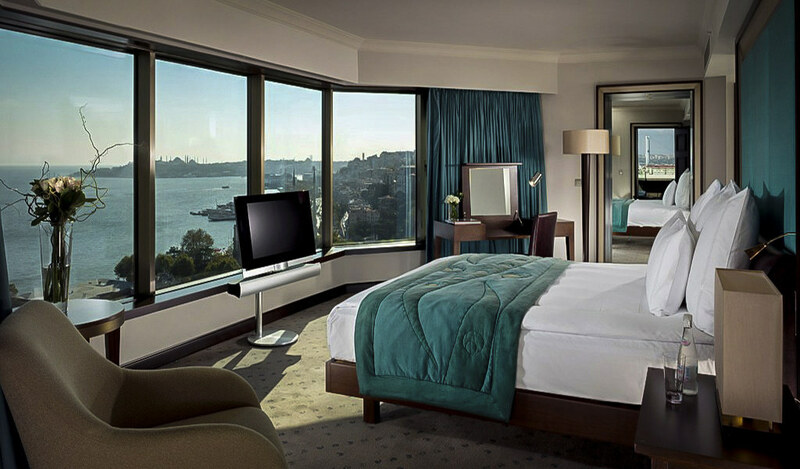 In the districts of Galata, Cihangir, Beşiktaş, Ortaköy and lately Karaköy hotels and apartments are of excellent quality. The zones represent the true center of Istanbul and they can help to appreciate its vitality with their restaurants, trendy bars, restaurants, and art galleries. 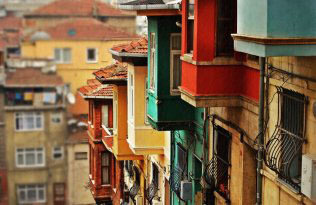 Beyoglu definitely has much to offer to spend the evenings, being the true heart of the city. Here tourists, but especially the Turks, meet in the myriad of cafes, restaurants, bars, live music, shopping and entertainment. Here also the offer of accommodation is varied between hotels, apart-hotels and apartments. If you want to immerse yourself in the most popular and characteristic can also choose to stay in Fener and Balat, your visit to the city in this way surely will change perspective. On the basis of our experience and therefore our philosophy of tourism, we have compiled a list of a dozen hotels that we recommend. This is obviously not for luxury hotels, or golden palaces isolated from the world with ultra-servile waiters, in which a cup of tea costs 20 pounds! Ours is a list that features well located, sophisticated, fun, hospitable institutions at acceptable prices. One of the most important criteria to be taken into consideration when choosing a hotel is nightlife. If you care to eat well and have fun then a hotel near the night life is for you. On the contrary, if you are more interested in the quality of your sleep, then stay away, because Istanbul at night can often be noisier than during the day. Below we listed the hotel in the areas that we prefer, we excluded Sultanahmet area, so the hotels there have not been listed. However, if you prefer to have a close proximity to the monuments, then it is not difficult to find good deals in the area. Here’s our brief selection of hotels. Decide always in relation to your needs! For this hotel, not many words are needed…it is one of the symbols of the city…a classic. It is a privilege to spend a night in it. Two of the three locations of the House Hotel, the first located in Çukurcuma Beyoğlu and the second in Ortaköy, a beautiful and privileged position on the Bosphorus. They are without doubt the most sophisticated hotels in the city, both in 800 year old historic buildings, restored and decorated in an idealistic style. The insides display antiques and works of art, blanced with themes of modernity. Two excellent options near Şişhane. We love this area, a stone’s throw from the Galata Tower and at the same time close to the nerve center of the city. Located in Tophane, an area in which more and more is being developed and the modern art community is taking root. The extraordinary decoration makes it unique. Karaköy is becoming an increasingly active area, with speedy restorations and trendy hotels. The area is on the sea, in the middle of historic buildings, churches and the historic port of Karaköy. A bonus to take into consideration is the possibility to try the restaurants of the highest quality that have opened in the area recently, especially seafood lovers. The only “luxury” hotel on our list, but of exquisite quality. It is within the city, in Beşiktaş, the neighborhood in which we live. Very close to everything, just a few meters from the Bosphorus, in the middle between Taksim and Nisantasi, well-served by public transport. You also have the chance to try out new bistros and brasseries that have opened recently to Akaretler. If you really want to stay in Sultanahmet, choose the Şebnem Hotel. It’s lovely, small, well maintained,and has a nice atmosphere and a good view. The price is great. Cheap holidays, often for young people and ultimately suited to the economic crisis, are becoming a necessity. This does not mean, however, we must give up traveling. We have also added a couple of hostels because there are many people who decide to visit the city with a low budget. Cheap holidays, often for young people and ultimately as a result of economic crisis, are becoming a necessity. This does not mean, however, we must not surrender travelling. Choosing a hotel on the Asian side of the city is not a bad idea. Kadıköy district is a beautiful and it is easy to get downtown by ferry. This hostel also has an art gallery inside. Definately give it a chance. A very nice hostel in Galata, right in the center of the typical district and not on the main street, this makes it one of the most peaceful places to stay in the area. Very quaint and decorated in a fun way. We like it a lot. In recent years it is becoming very popular for many travelers, families or groups of friends to stay in apartments organized specially to reach the demands of tourists. If you are interested in renting an apartment you can contact us nuestra mail.